We have all heard that eating more fish is good for us but here are some benefits from eating striped bass. It’s full of protein, 6 ounces of the fish provides 30 grams of protein and only 165 calories! It also contains vitamin B-6 which helps with our red blood cells and iron which activates enzymes that you need for energy production. 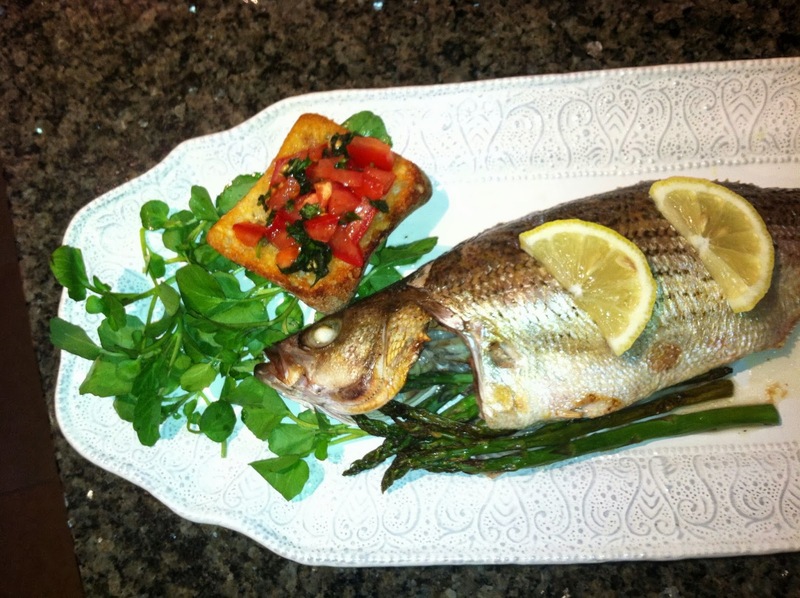 Preparing whole fish is very easy and very quick. This only took 20 minutes in the oven and since I stuffed it with asparagus, it also provided a healthy vegetable for the side dish. I also added some watercress for that added “green” healthy benefit and served it with some bruschetta.